A docudrama on Mahatma Gandhi's significant Dandi March to Dandi, Khaar will premiere on 2nd October exclusively on ZEE5.To give the audience an immersive experience, the show has Annu Kapoor lending his voice as a narrator. 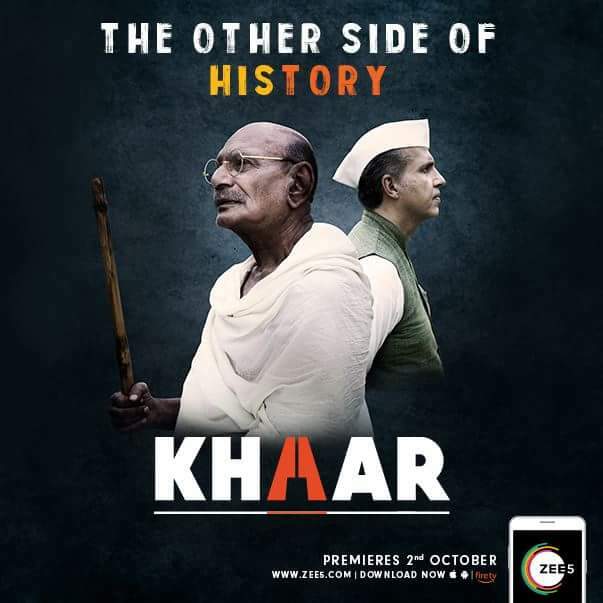 Adding to its bouquet of over 1,00,000 hours of content across languages, ZEE5, India's largest and most comprehensive digital entertainment platform for language content, announced the launch of 'Khaar' web series from their Originals collection. While a lot has been said about Mahatma Gandhi's contribution to India's independence, not too many people know that he often had to face opposition even from his close aides from the Indian National Congress. The idea for the salt satyagraha had been his brain child and one that changed the course of our independence struggle; yet it didn't have the popular support within the Congress. But, Gandhiji pressed on with the belief that he was on the right path. Khaar unfolds the many challenges that Gandhiji faced before initiating the Dandi March and triggering the most dramatic chain of events that led to India's independence.